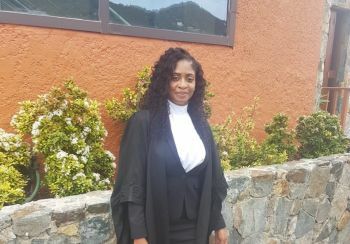 ROAD TOWN, Tortola, VI – Virgin Islander Ms Sherene L. Liburd was on October 4, 2018, admitted to the Bar of the Eastern Caribbean Supreme Court (ECSC) in the Virgin Islands (VI) before Senior Resident Judge, Her Ladyship, Justice Vicki A. Ellis. Ms Liburd was sponsored by Attorney Ms Vareen Vanterpool-Nibbs and supported by Attorney Ms Miglisa Cupid. Justice Ellis congratulated Ms Liburd on her accomplishment and spoke about the sacrifice and stamina she had to endure to get to this stage. 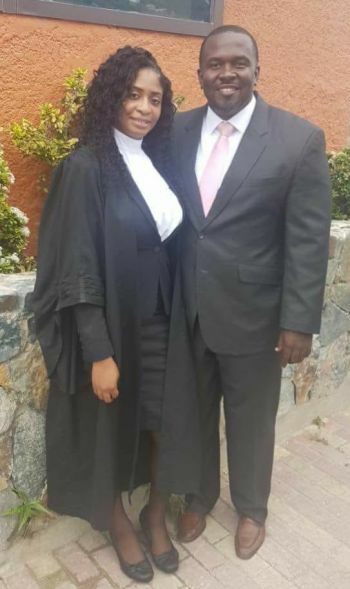 She told her that while she has accomplished a great deal and she has made a wonderful career choice, as law is a noble profession, there is still much for her to learn. The learned judge told Ms Liburd to take counsel from her seniors, compose herself with dignity at all times and be respectful to her clients, colleagues and the court. Her Ladyship admonished Ms Liburd to be prepared at all times as preparation indicates respect. She told Ms Liburd more will be expected of her and it is her responsibility to share with those who will come behind her. In her response to the Court, Ms Liburd expressed her gratitude to Justice Ellis for admitting her to practice as a Barrister of the ECSC. Ms Liburd shared that she was particularly attracted to study law as it is one of the fundamental facets of society, and by becoming a lawyer; she would be able to play a vital role in helping people achieve their goals. “Now that I have returned home to the VI, I am looking forward to helping people in my own community achieve their desired outcomes and I am grateful that I now have the opportunity to do so,” Ms Liburd added. She thanked her sponsor, Ms Vanterpool-Nibbs and supporter, Ms Cupid and also expressed her deep gratitude to her family for their continued support. Ms Liburd graduated with honours from both the Althea Scatliffe Primary School and the Elmore Stoutt High School in 2008. She ranked 10th in her graduating class and was awarded a government scholarship. In 2010, she graduated from the H. Lavity Stoutt Community College as the top student with an Associate’s Degree in General Studies and a concentration in English. Ms Liburd continued her studies at the University of East London and attained her Bachelor of Laws Honours Degree: Second Class (Upper Division) in 2013. She completed the Bar Professional Training Course and was called to the Bar of England and Wales in 2014. Upon successfully completing the Bar, Ms Liburd remained in the United Kingdom and worked as a housing paralegal at Duncan Lewis & Co. Solicitors until her return to the Territory in July 2017. She is currently employed as an Associate lawyer at Harneys in the Private Client Department. Ms Liburd is the daughter of Aubrey and Lenore Varlack-Liburd. Congratulations Shereen. Keep striving for the stars young lady. Sure your parents are extremely proud of you. Good job Shereen. Always continue to do your very best. Be brave. Congratulations to you Shereen. You are such a humble and intelligent individual. I've always admired you. Keep striving for excellence as I know you will. Cheers to you! Congratulations my dear. The DPP could have hired you. Congratulations to my former VBS student. You stood on a firm foundation and you have done well. May God continue to guide you in your future endeavors.